We've fallen in love with this super chic bathing suit! padded swim top features back tie closure and adjustable shoulder straps. High waisted bikini bottom for flattering tummy control and ruching. 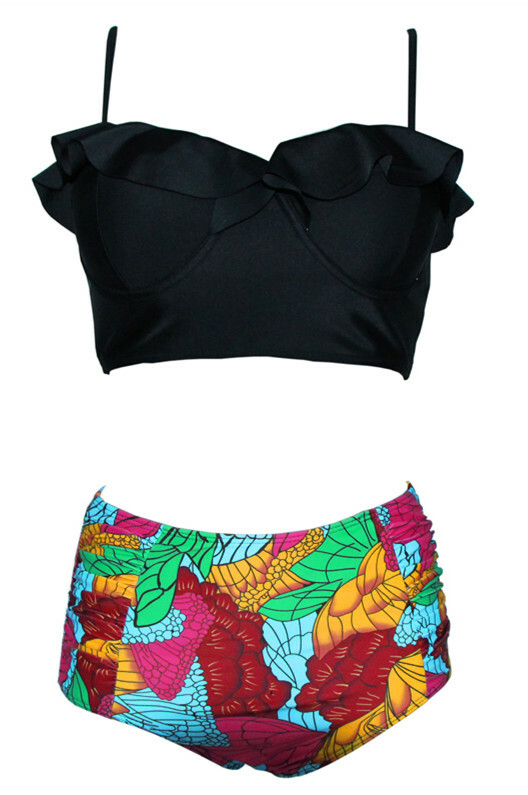 Trendy vintage flounce high waisted bikini sets create a adorable and sweet look. Perfect for vacations, beach, pool, festival, honeymoon with unique and chic two piece swimwear in this summer!